We are pleased to offer FREE applications engineering support to our existing customers and potential customers alike. Whether you need an answer to a simple question or assistance in designing a complex drive, our applications engineers are ready to provide expert assistance. They can tell you exactly which size and material of belts and pulleys will work best for your applications and create 3D drawings complete with specs and a quote. They can also troubleshoot issues with your existing drive. Often times, our engineers will work with customers to discover that a simple design change or adjustment will dramatically improve performance and lifespan of the drive components. Some customers would be willing to pay for such expertise but at BRECOflex CO., L.L.C. engineering support is and always will be 100% free of charge. We encourage you to call and speak to an Applications Engineer today by calling 732-460-9500, or you can contact us online and an expert will call you back. 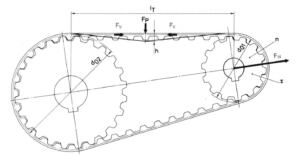 You can also explore our most frequently asked questions, quickly calculate unit conversions and get common formulas and definitions used in timing belt applications, below.